Romitaman Original Comic Book Art :: Private Collection :: Batman Drawing (1986) SOLD SOLD SOLD! by artist John Romita Sr.
Batman Drawing (1986) SOLD SOLD SOLD! 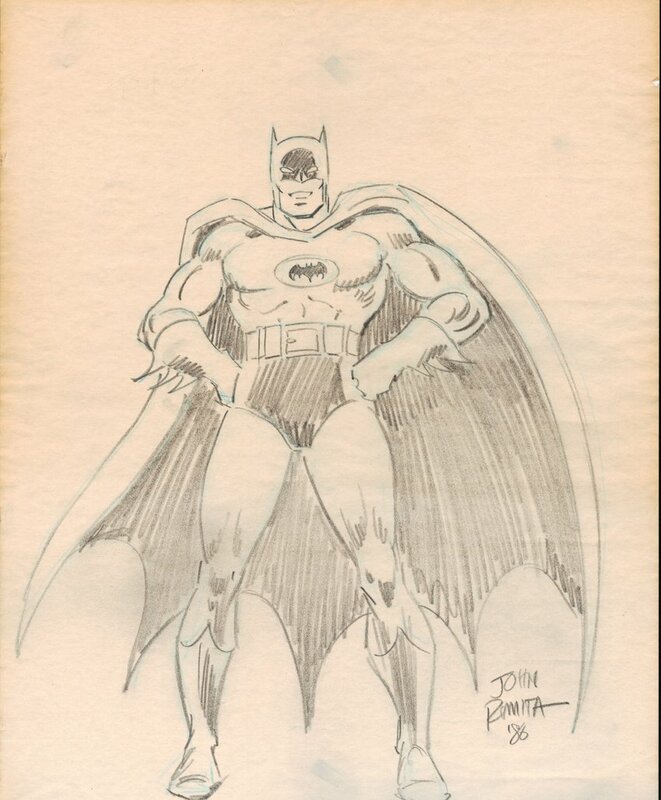 Check out this SWEET, RARE chance to get the great JOHN ROMITA Sr. to draw the DC icon...THE BATMAN! 11 by 14 inches, in 1986!